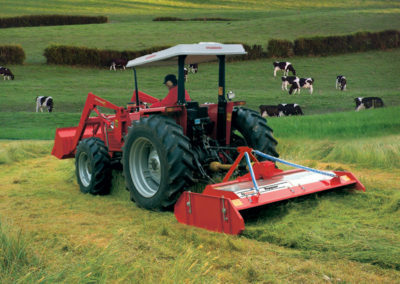 The Trimax Topper cuts pasture grass quickly and efficiently. 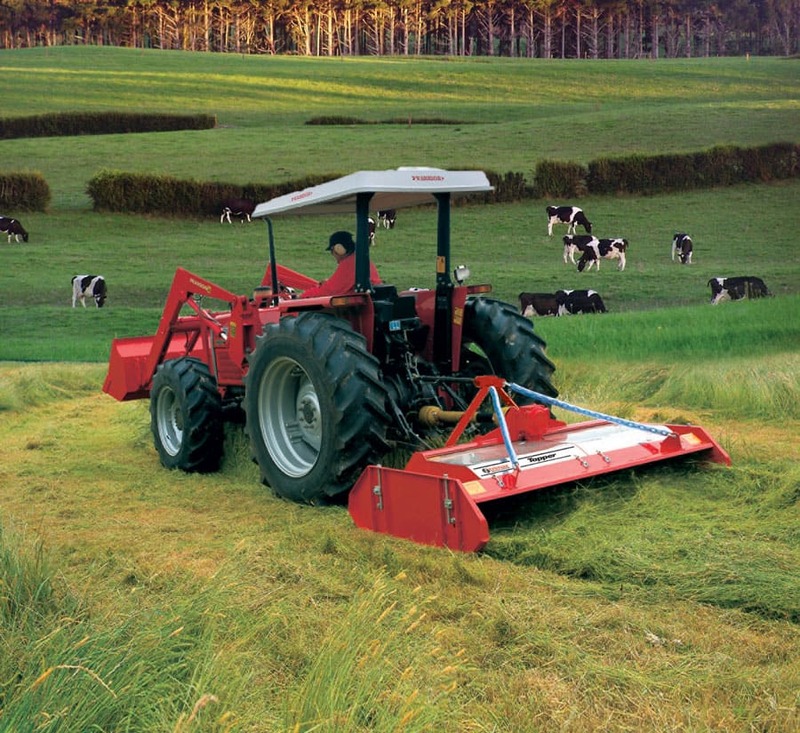 The Trimax Topper cuts pasture grass quickly and efficiently. Small diameter blades turning at high speed mean more cuts per meter of travel and less distance to move cut material before it is ejected. Very high under-body clearance guarantees low horsepower requirements and Trimax’s exclusive Anti Block System (ABS) prevents frustrating blockages around spindles in extreme conditions. 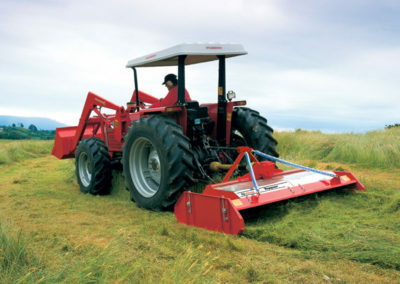 The Trimax Topper is short from front to rear to minimise leverage and is mounted close to the tractor. This allows the use of smaller tractors for large cut widths and a smaller turning radius for easier access into tight corners. Talk to us today about how Topper can benefit you in your environment. 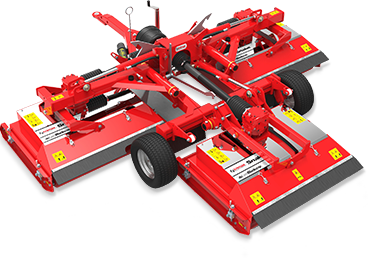 We aim to build mowers that last and we back this up by a 3 year warranty which also includes the spindles and gearboxes. Our robust design coupled with our experienced service and support network ensure minimum downtime and more productivity. 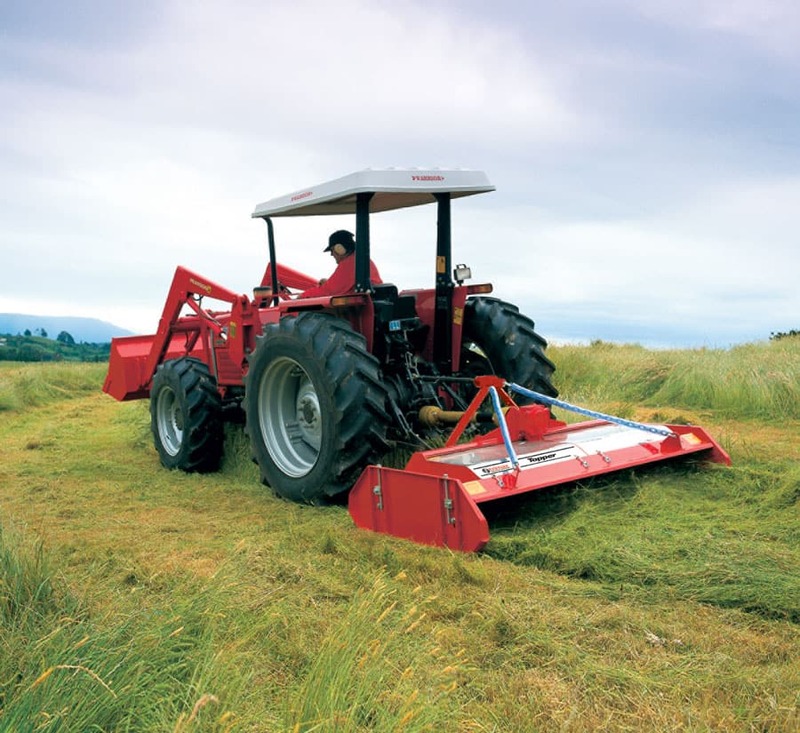 Topper is short front to rear and mounts close to the tractor; this allows the use of smaller tractors for a large cut width and a smaller turning radius for better manoeuvrability. The high under body clearance and open deck design allows good flow of grass into the mowing deck and a clean ejection of cut grass. Snake is fitted with Trimax LazerBladez™, a blade system with a carefully engineered centre of gravity and distinctive tilt-forward blade design unique to Trimax. 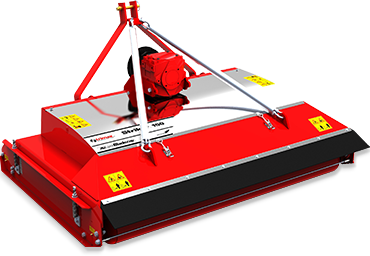 Utilising the LazerBladez™ full length cutting edge, Snake produces a clean finish even when mowing at high ground speeds. LazerBladez™ are made with high grade alloy steel providing a significant increase in blade and bolt life for added safety and lower operating costs. 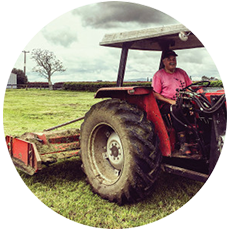 “We use the Topper to keep up the quality of the grass behind the cows. The farm tends to grow a lot of grass early on in the season and it’s hard to control, even with silage, so we top to keep the quality up. We get a nice clean cut which means you get good regrowth. I wouldn’t buy anything else”.